The marvelous people from Cork & Cracker, in Indianapolis, contributed this amazing French set. 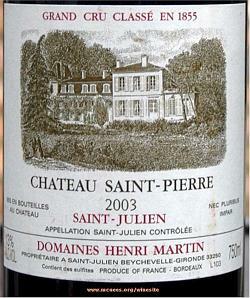 It includes a bottle of N.V. Pierre Peters Champagne Blanc de Blancs Brut Cuvée de Réserve, a personal favorite, a 93-Parker rated Chateau St. Pierre 2003, and a 750ml Château Doisy-Daëne. Total retail value is $200.00. 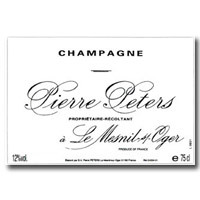 “Pierre Peters, a small grower producing grand cru Champagne of tête de cuvée quality, still provides good value. His reserve blanc de blancs (100% Chardonnay) features crisp acidity, balanced yeastiness, and great length. 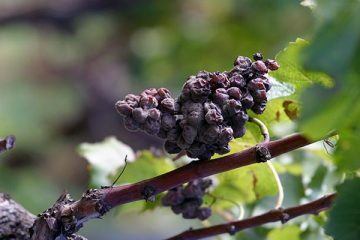 Importer Terry Theise introduced grower Champagne to the United States, and this is one of the pearls from his portfolio.” Robert Bath, MS, Sommelier Journal, October 2009. “Cuban toast, citrus, and citrus blossoms. The mouse smooth and gentle. It was a delightful mouthful, all bubbles and smiles.” DH, Palate Press: The online wine magazine. “This impressive bottling offers a moderately intense nose of coconuts intermixed with smoke, cherries, and honeyed lemons and pineapples. There is outstanding purity, gorgeous fruit, seemingly low acidity, and an excellent fat, fleshy finish. 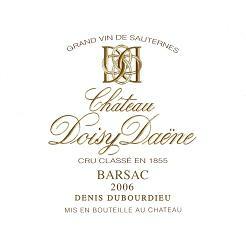 This wine may merit an outstanding score if it develops more complexity.” Robert Parker. Opening bid is $100.00. Minimum bid increment $10.00. I’d like to open the bid at $100 for Lot 41 from Cork n’ Cracker. Can this lot or for that matter any other lots be shipped to Massachusetts? I can’t see that specified anywhere. Would love to bid, but need to know first. Paul, we can get it to you.